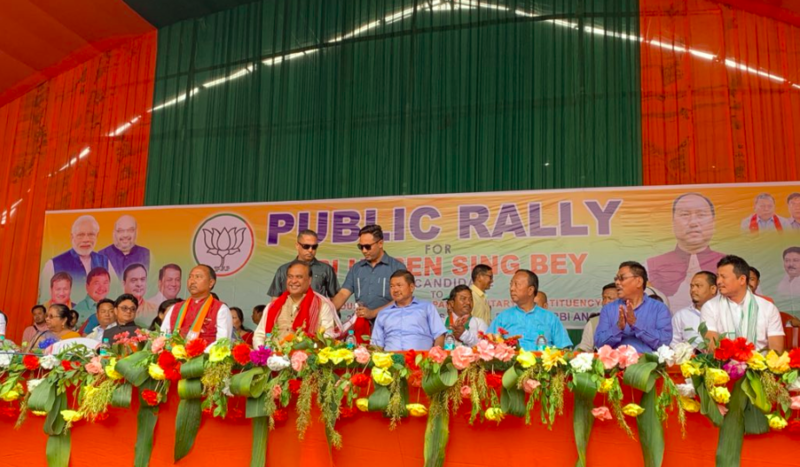 Assam finance minister Himanta Biswa Sarma addressed a huge rally at Diphu on Monday, the headquarter of Karbi Anglong district in Assam who campaign for Haren sing Bey, BJP’s candidate for the autonomous district Lok Sabha seat. 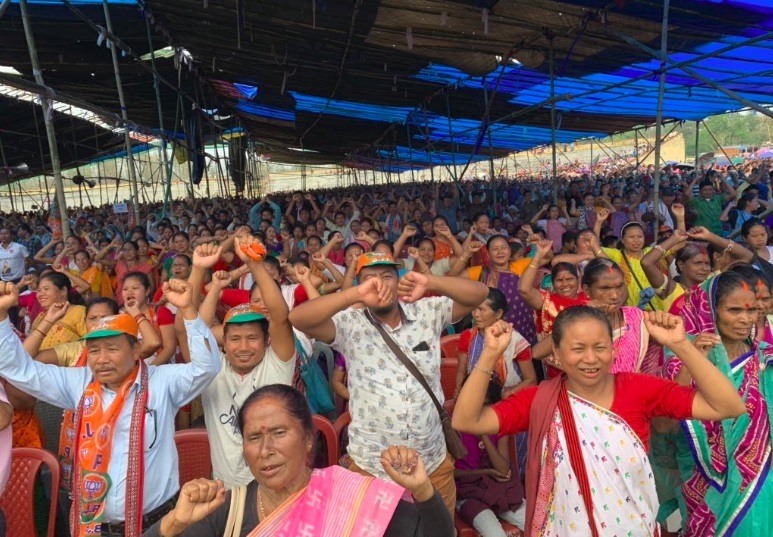 Addressing a massive, enthusiastic crowd at the hill town, Sarma regarded Bey as being a very dynamic leader and appealed to the crowd to vote for Bey and BJP to bring change this parliamentary election. Bey is pitted against Congress candidate Biren Singh Engti, who is one of the longest serving MPs from the state representing the autonomous district seat since 2004. Bey is a former rebel leader of the United People’s Democratic Solidarity (UPDS) and present executive member (PWD) of the Karbi Anglong Autonomous Council.